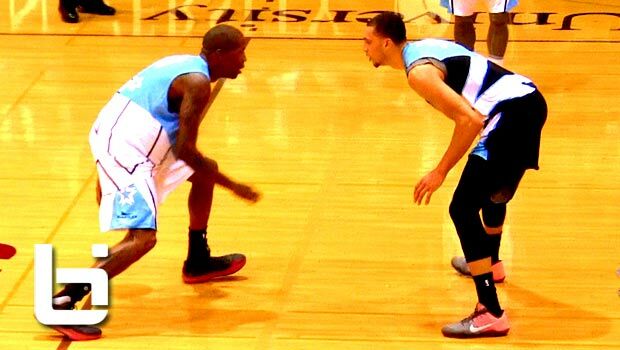 Jamal Crawford Hits Game Winner In Seattle Pro Am All-Star Game! SICK Highlights! Here are all the highlights from the 2016 Seattle Pro Am All-Star game featuring Jamal Crawford, Zach LaVine, Dejounte Murray, Nate Robinson, Spencer Hawes, Terrence Williams and many more! The game was full of highlights including ankle breakers and high flying dunks by some of Seattle’s best! The East team’s Zach LaVine had the viral play of the day to go with his game-high 49 points but Jamal had the last laugh with a game-winning 3 to give the West a 152-150 victory. Jamal also had a team-high 31. His teammate and Spurs rookie DeJounte Murray had 22 and Kevin Porter Jr had 21. D’Vonne Pickett had 30 for the losing team.